Want to look stunning and gorgeous? Try wavy bob cuts and you will leave everybody stunned. Though bob hair is short, wavy bob gives a feminine look to each woman. You cannot deny its beauty and how trendy wavy bib hairstyles are. Today, we have gathered together Wavy Bob Hairstyles and want you to get inspired from our images listed below. We have done our best to give you a great dose of wavy hair inspiration so that you will get new ideas and fell motivated. One of the most popular looks is shoulder-length spiraled bob. If you have chubby cheeks then make straight pieces in the front so that your face will be framed perfectly. We also offer you to try wavy choppy ash brown bob and this hairstyle will give you a charming girlish feel. You can also add some highlights to become younger and more modern. If you want to stand out and make a statement then rounded and feathered bob haircut is the best solution for you. These chunky layers work great for different face shapes and you will become so attractive. Now, just look at these photos below and choose the very hairstyle according to your hair type and desired length. 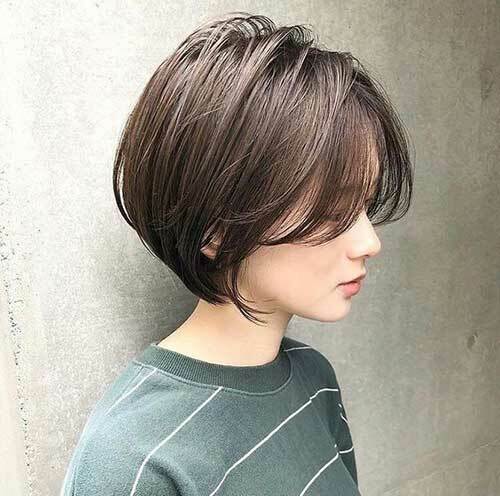 Longer bob is the best for trying short wavy hair. Also add some layers so that your waves will look perfect. Be sure, these charming soft waves will look amazing and give you a flawless look. 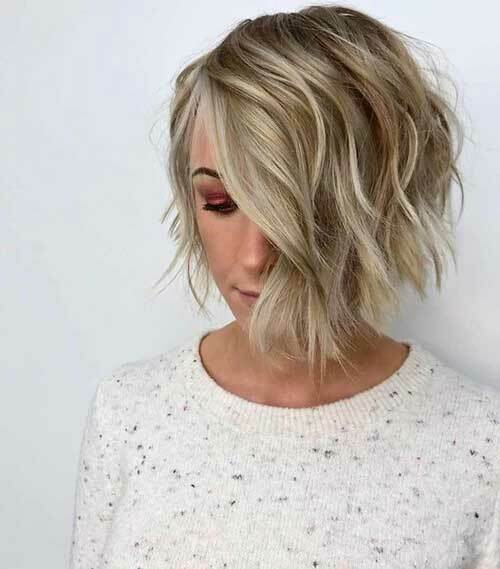 Short hair with long front; this hairstyle looks really sassy and chic for women, and this bed-head hairstyle is quite handy and is among the trends of each season. One of the most preferred hairstyles this summer: long wavy bob. With choppy ends you can get a voluminous and artistic look. 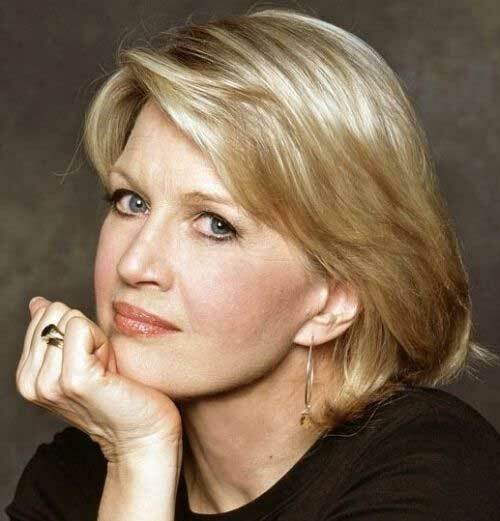 In addition, this haircut is quite compatible with brown hair colors. Another perfect option is graduated A-line Bob. You will surely fall in love with the elongated front pieces. You can even make them blonde and enjoy your look. If your hair is thin then you can be sure that this is an excellent choice for you. 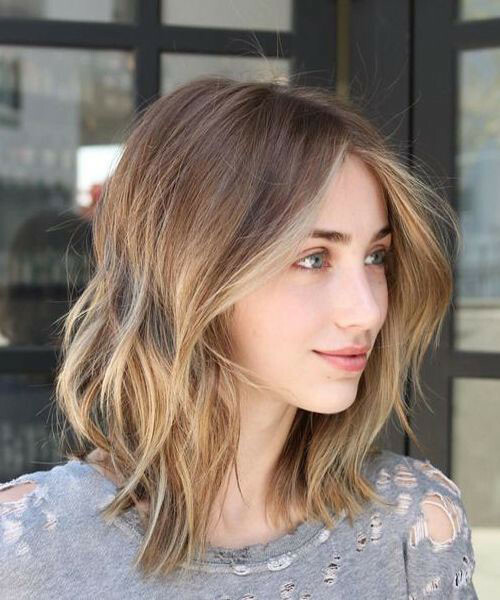 Inverted lob is the great option and you can also opt for side-swept style.